Patricia Wood was born in Seattle, Washington and currently lives in Honolulu, Hawaii. Her debut novel, Lottery, was short-listed for the 2008 Orange Prize for fiction in the UK. She has contributed a short story in the anthology collection Sunset Inn: Tales of the North Shore, which benefits Hawaii Literacy, and her latest novel, Cupidity, was recently released in December. While Patricia has always considered herself a writer, she has had various careers from being a medical technologist in the US Army, to giving horseback riding lessons, to teaching Science to high-risk students. She has helped crew sailboats across the Pacific, done shark research at Midway Atoll, and competed professionally in horse shows with her jumper, Airborne. While working on her PhD at the University of Hawaii, she earned her certificate in Disability Studies. 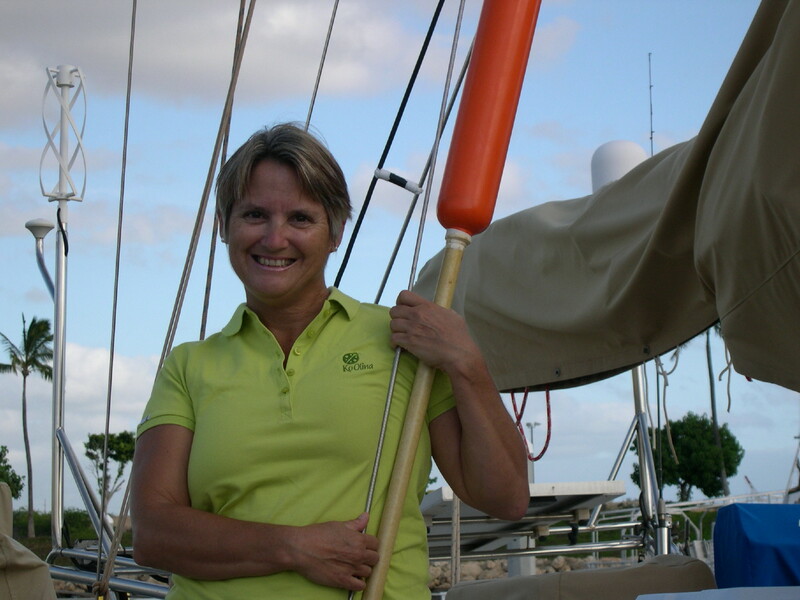 Patricia now lives on a sailboat with her architect-husband Gordon and her current muse, a Siamese cat named TooToulouse. Just as I have always been a reader, I have always written. Since I was a child, I have been fascinated with how magical words can be. They have the ability to transport a person to another place and time and to allow us to enter an imaginary world. I wrote my first book at age seven and always worked on school newspapers. I wrote articles for magazines all the while starting manuscripts but never finishing them. I never thought of making writing a career. My jobs were always something practical so I could support myself. My first break was a result of hard work and luck. While I had always considered myself a writer, when I turned fifty, I thought it was time to get serious about it: to either finish all those half-done manuscripts or admit I was fooling myself. I began attending writers conferences, doing informational research on agents and editors and the publication business, and most importantly of all: writing. Both education about the business of publication and education about the techniques of creating a novel are critical for success. 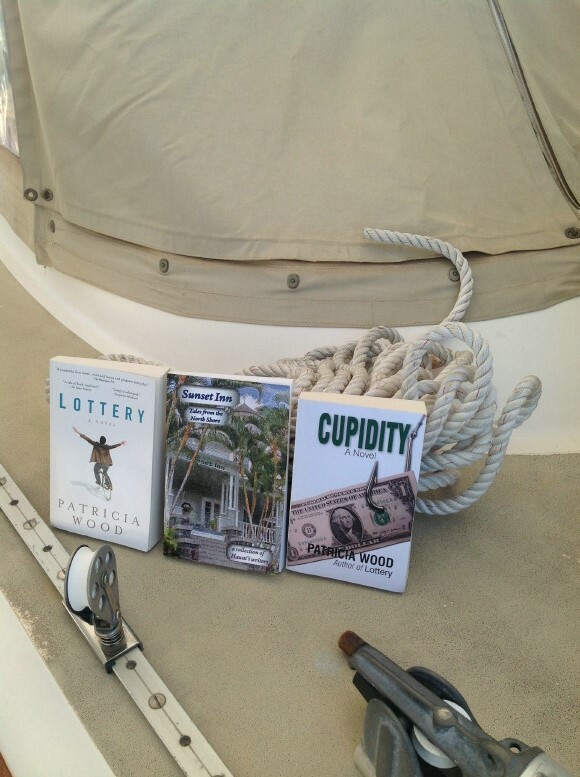 My debut novel, Lottery, was actually my fourth completed manuscript. I had over a hundred rejection slips for my earlier projects. When I queried with Lottery I immediately received requests for the manuscript and representation. It always comes down to having a great story told well. I always seem to write about how financial gain (or the prospect of it) changes people. My latest novel, Cupidity, is about how a small town is impacted by one of those Nigerian scam letters. My work environment is chaotic. I am currently sitting at my computer writing in the salon of my sailboat with the wind driving the boat against the dock making it heel like I’m at sea, hearing the halyards banging against the mast, and thinking maybe I better tighten the mooring lines – all the while being berated by a hungry cat demanding attention and a pinging iphone that says I have 33 emails: all marked urgent. I think back to the pre-publication days when I could write undisturbed. Those days are long gone. I am working all the time. When I’m not at my computer writing, editing, or revising, I’m thinking about my characters or the plot arc of my current project. I have no typical day. I attempt to start writing at 6 in the morning. With the help of copious cups of coffee, I am usually immersed in my character’s world by 7 and try to write solidly until noon. I am continually interrupted. I have had to learn to do what I can in an hour or sometimes less. I often hear about people saying they want to quit their jobs to write full-time and I always think that’s a mistake. You have to be able to use the time you have – rarely do I get hours and hours at one fell swoop. In the late afternoon I am not at my best so I go out and ride my horse or do stand-up paddleboard in the harbor – this energizes me. While I like to work again late at night, my head is clearest in the morning. But really, I can write anytime, anywhere. My favorite is traveling on a long-distance air flight. 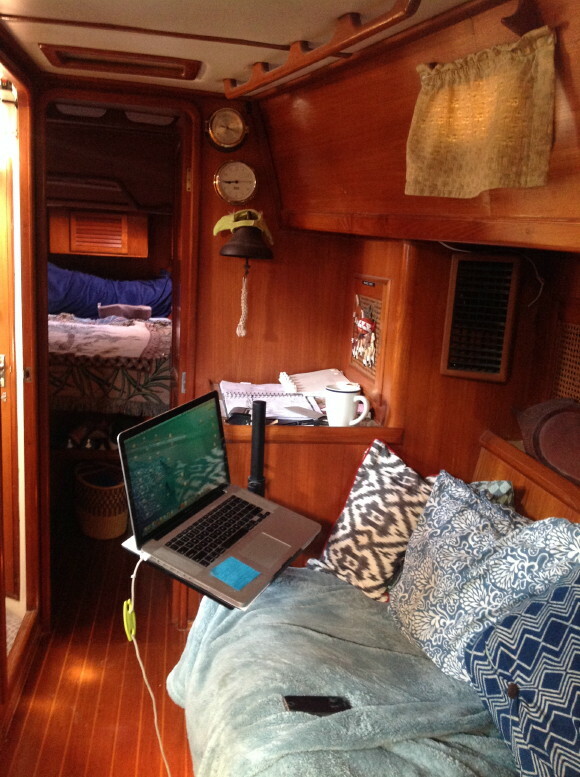 Honolulu to Seattle is 6 hours of uninterrupted writing bliss. My process is stream-of-consciousness, beginning-to-end, really crappy first drafts that are painfully revised into less crappy second drafts and so on until I get maybe a twentieth draft that gets to sit on a shelf for a couple months to age. Then I go back and revise and revise and revise again. I do my own editing and copyediting. My opinion is if you can’t do that, you aren’t a writer. When I have a polished manuscript I have trusted readers who know what to look for with respect to creating a sympathetic character and a suspenseful plot arc and give suggestions that I may or may not take. My inspiration can be readily obtained from any daily newspaper, People magazine, or online meme. From an overheard conversation at a Starbucks to a daydream or nightmare, my life is full of inspiration. I was always chastised for not paying attention in school. That is my greatest strength: my imagination. Ideas for me are easy. My imagination is always churning them out. They just appear in my head – sometimes fully formed, sometimes not. If ideas are the easy part then revision is the hardest (at least for me). My greatest challenge is to have a clear focus of what the story is about from beginning to end and not deviate from that. If my focus isn’t clear, I end up writing a novel with everything in it but the kitchen sink. It is also hard to process internal and external criticism – when to apply it, and when to disregard. If your focus for a novel isn’t clear, you can be unduly influenced. I believe creating a novel is creating a piece of art just like a symphony or sculpture or painting. But just the creation of it does not mean that art is finished. Art must be consumed by a reader or listener or observer – but even still that does not complete the art. Art is completed when the artist and consumer can have a dialogue about the piece of art. This happens for me when I am invited to speak with book clubs – often via Skype – and participate in discussions about Lottery or Cupidity. Reading is very personal and to have this discourse about literature is amazingly satisfying as an artist. I can hear how my work resonates with a reader and they can hear my intent as an author. Some of the best discussions have been with readers who have had problems with my narrative – after sharing our insights, we both come away with having learned something. I have favorite books, not favorite authors. But I will say I’ve read everything Georgette Heyer has ever written. I think it would be interesting to hear from authors who have varied experience with publication. Holly Kennedy comes to mind and Mia King (Darien Gee). Thanks for sharing, Frances. Patricia’s a great success story and I love her positive attitude and determination!